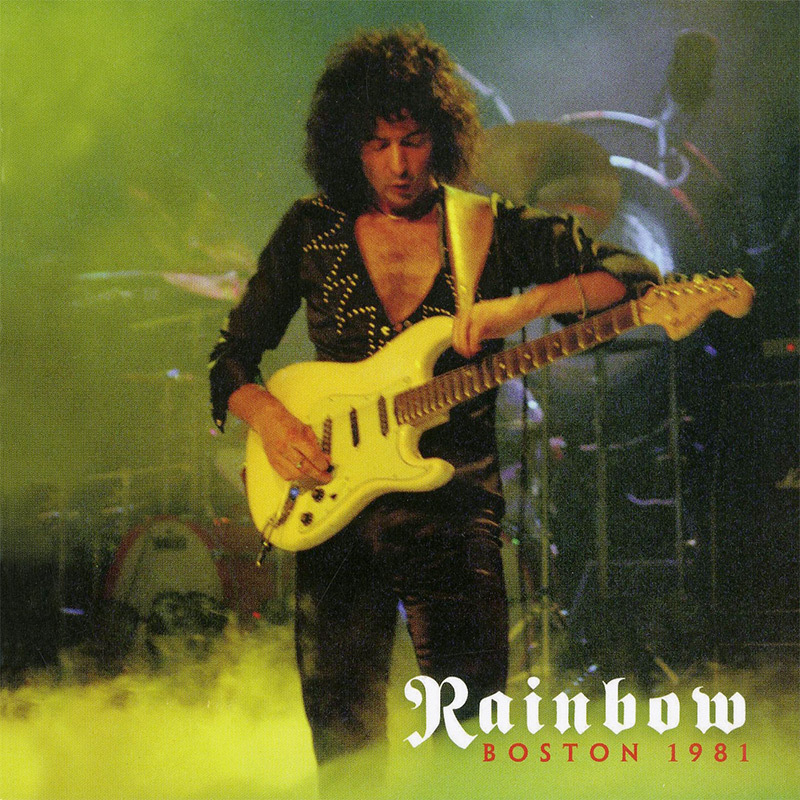 Rainbow’s Boston 1981 is being released by Cleopatra Records — the same label that brought you the three 1979 Rainbow live releases. The show was broadcast on the radio at the time and was subsequently widely bootlegged. The CD appears to be already available from the label store, with a gatefold double LP on colour vinyl promised to be in the works. Amazon lists CD availability dates at May 13 for the US, May 20 for UK, and May 27 for Germany. Thanks to Anthony for the heads up. Posted by Nick Soveiko on Tuesday, April 19th, 2016, filed under News. You can follow comment on this post through the RSS 2.0 feed. You can skip to the end and leave a comment. Pinging is currently not allowed. Is the boot any good?? I have this cd it is awesome! Entire concert on one disc? Another immaculate, pristine recording no doubt!…. and only 35 years late. Heaven’s to Betsy, I didn’t sound the slightest bit sarcastic there for a moment did I?. Hmmmm. Well, enjoy it anyway. Ahhh Boston, now there’s another great rock band!. The reception on the radio wasn’t great, so the quality isn’t there, but it was great to go back and listen to. Is Graham Bonnett on vocal or Show Little Turner?? This bootleg is as old as the hills, bootleged as “Ultimate Surrender” or “More Coloured Rainbow”. Soundquality is in my opinion is very good. A must have for all Rainbow-fans. I’ve got the entire two disc show right from the WBCN master. king Biscuit totally screwed up the mix when they put it out. It kind of reminds me of the difference between the original Come Taste The Band and the Caveman remaster. Actually, the boot is available if you can find it, its called ‘Real Boston Complete’. This was the show I met Ritchie, and my ex-wife and myself became Ritchie’s guests backstage for the entire show. When I was first introduced to Ritchie, his first words to me were, “on your knees in my presence”, to which I did not obey, but smiled widely at meeting my idol and shook his hand. He demanded everyone backstage leave just prior to Rainbow taking the stage, and said pointing to us, “these two stay”. Throughout the set, we had brief conversations as he came off-stage at different points during the show. Naturally, I heard all the stories of how nasty and such he could be, but he was wonderful and very inviting to us. That was one of the most special nights in my life, and lives on in my memory all these years later. The sound quality is not bad. Jesus Christ. Folks need some objectivity. This is NOT the full concert. It’s all the songs, but banter/solos cut out to fit on one disc. If you can find this in lossless FLAC it’s well worth it. If you want the full show taken from the pre-FM source, this is the way to go. But I find the single CD release just fine for what it is. And just to reiterate, the sound quality is outstanding on both the official “truncated” release and the pre-FM “bootleg,” if you will. Reason this is available in awesome quality now is because Wolfgang’s Vaults acquired KBFH archives when KB went bust and have legally uploaded the full show from the original master tapes for streaming on their subscription site concertvault.com. It used to be free to stream but now you’ll need to buy a subscription to hear it, but it’s well worth it; hundreds of exclusive live recordings available for legal streaming.